We got some fabulous news about my husband's job recently and we wanted to have a little impromptu celebration. It's easy to lay out a fancy-looking spread if you keep a few staples in your house (you can raid your pantry for the rest.) I was able to uncork some sparkling wine and throw together Fruit & Brie Crostini on the quick and I've got some tips to help you get ready for any special occasion in a snap! 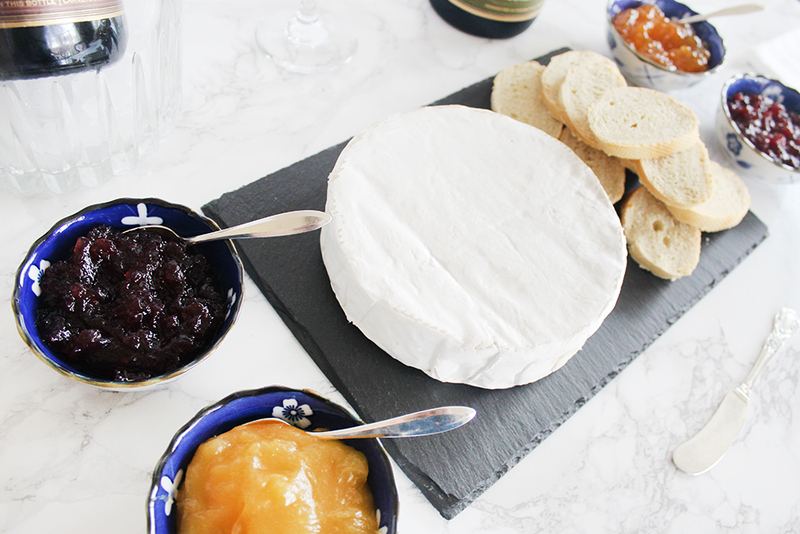 This looks way fancy but really only consists of a wheel of Brie, some sliced and toasted french bread, and various spreadable fruits and lemon curd. You may even have a few of these in your fridge or pantry right now. One thing I always keep on hand is a bottle of sparkling wine, but it's not just for special occasions, y'all! 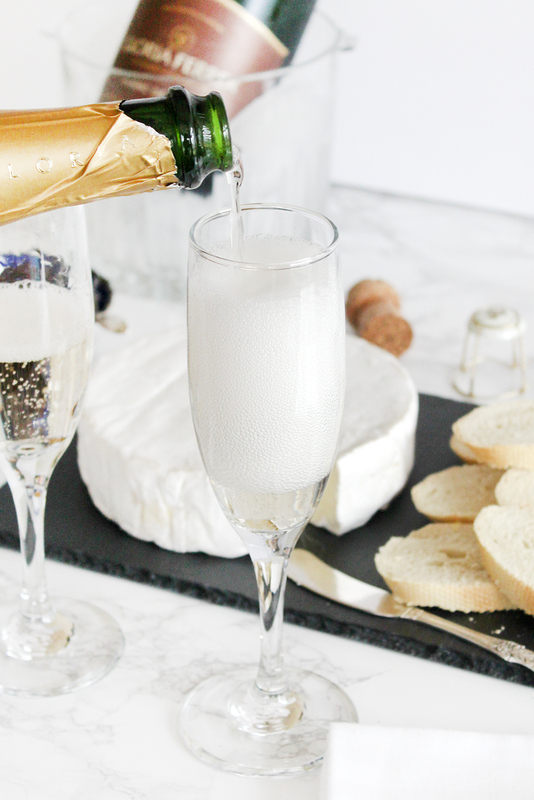 The low-down is that it's priced the same as a bottle of still wine and can be paired with foods just like a bottle of still wine, so if you enjoy bubbly, don't be afraid to serve it with dinner. 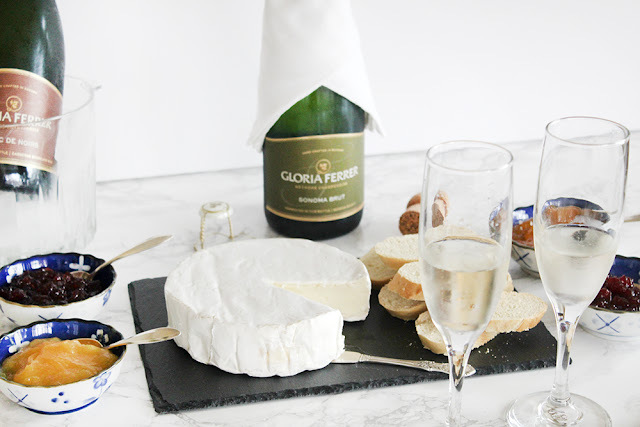 I'm a big fan of Brie and an unopened wheel can stay good in your fridge for months (check the expiration date before you buy it), so it's perfect. Once opened, you can wrap it tightly in foil or plastic wrap and keep it in your fridge's crisper for about a week, maybe longer. 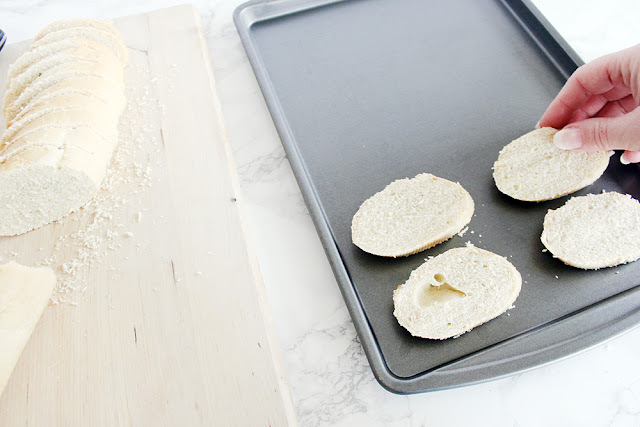 If it's not runny or smelly, it can still be safely eaten. If you're not a fan of Brie, choose your favorite cheese to stash away and you can change your pantry staples and sparkling wine choices accordingly. 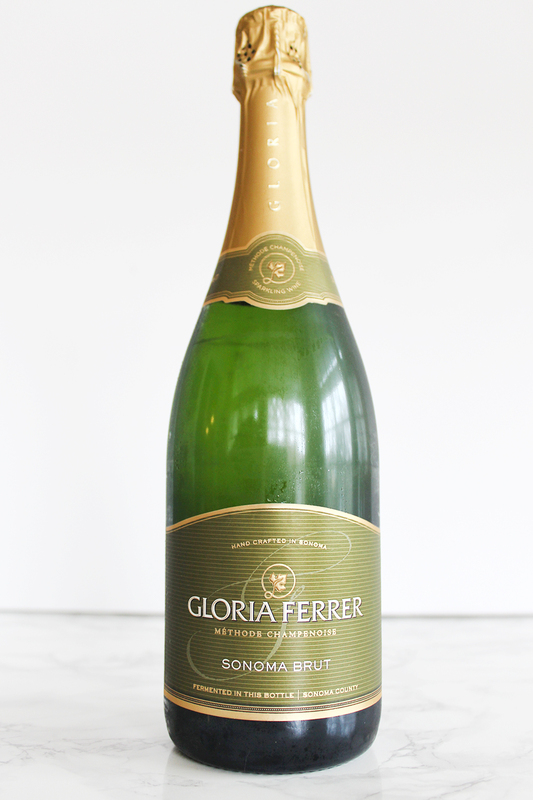 I'm a big fan of Gloria Ferrer sparkling wines. 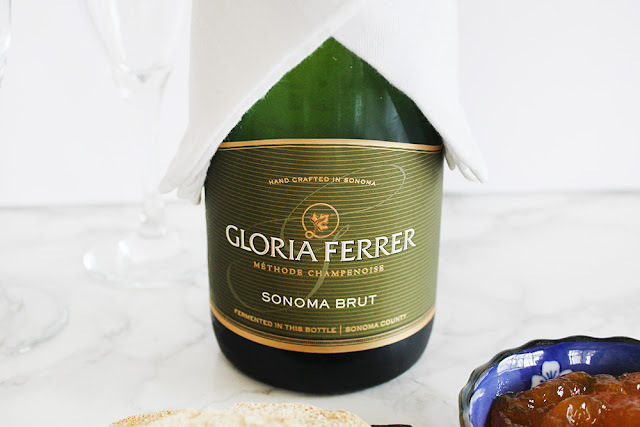 They are California’s most awarded sparkling wine house and have received over 500 gold medals and 50 90+ ratings in the last 5 years. The surprise is that their wines are also affordable. 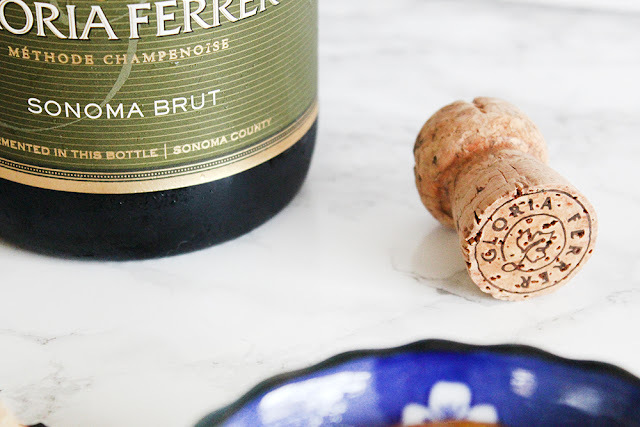 I'm popping open a bottle of their Sonoma Brut. 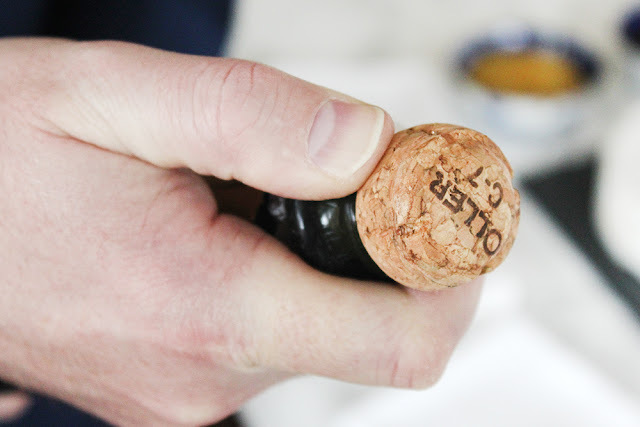 A Brut just means that it tastes dry with no perception of sweetness. There are various sweetness levels for sparkling wines depending on the amount of residual sugars it contains and they are in a range starting with Extra Brut (extra dry), Brut, Extra Sec, Sec, Demi-Sec, and Doux is the sweetest. The Gloria Ferrer Sonoma Brut is incredibly versatile and pairs well with dishes like shellfish, crab, roasted chicken, and sushi. Lemon, fennel, and white pepper flavors work particularly well. 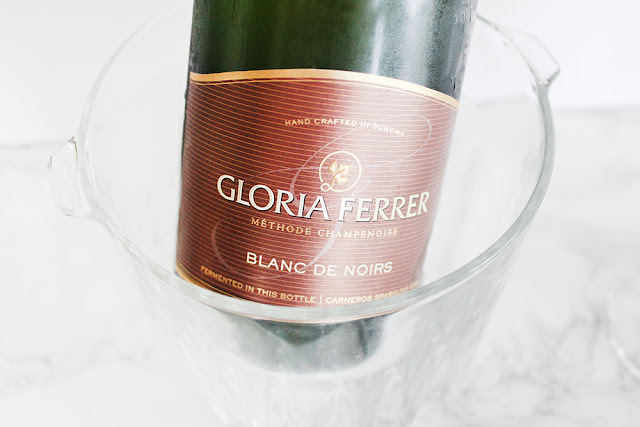 Another good choice is the Gloria Ferrer Blanc De Noirs. 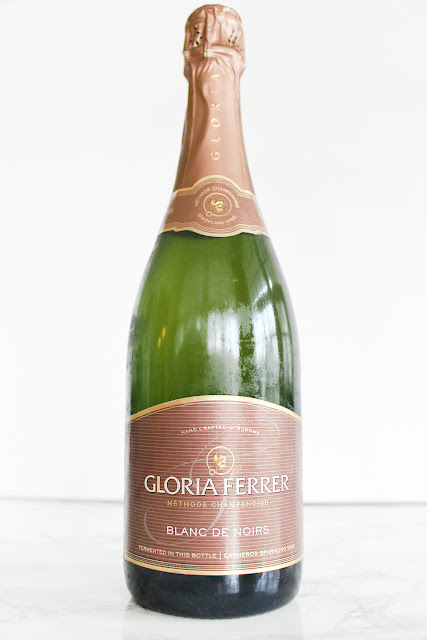 Blanc De Noirs means "white from black" and is predominantly made from Pinot Noir grapes and has a light rosé color. It pairs well with dishes like crab, Thai cuisine, roasted pork, quail, foie gras, and semi-sweet deserts. Flavors from star anise, plum sauce, tarragon, persimmons, and hazelnuts work well. 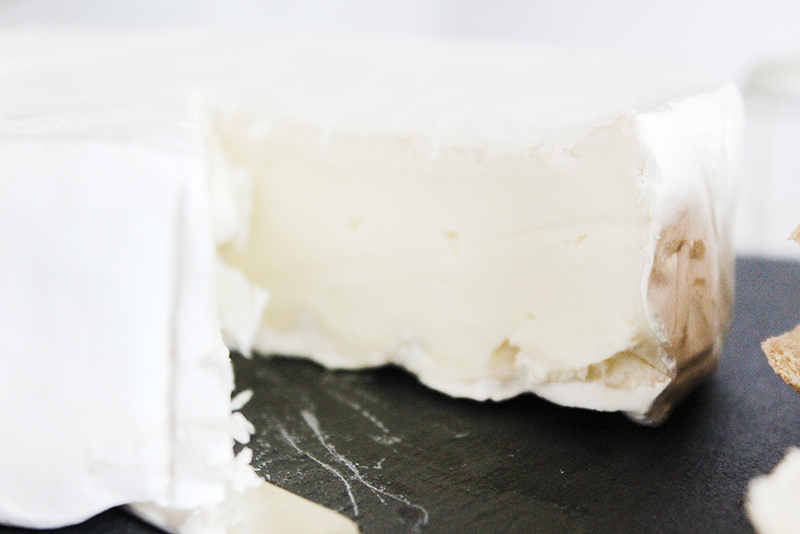 Choose cheeses like triple aged Gouda or hard aged cheeses. As always, these are just a guideline for flavor pairings. My favorite thing is to try different flavors with the wine to see what you like best! You can't get more versatile than a Crostini. 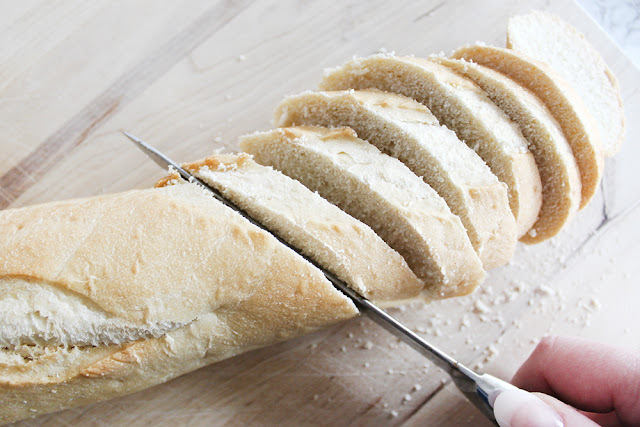 It is simply toasted bread slices with any topping you wish. If you have a loaf of french bread on hand, slice it diagonally and toast the bread to your preference. 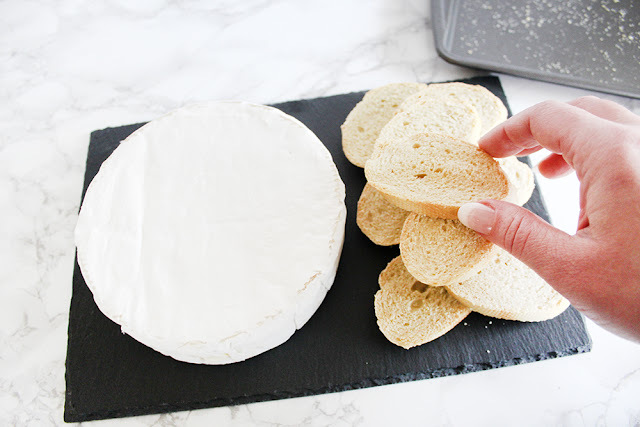 If you don't regularly buy french bread, keep a box of nice crackers on hand. Unopened, they'll keep until you need them! 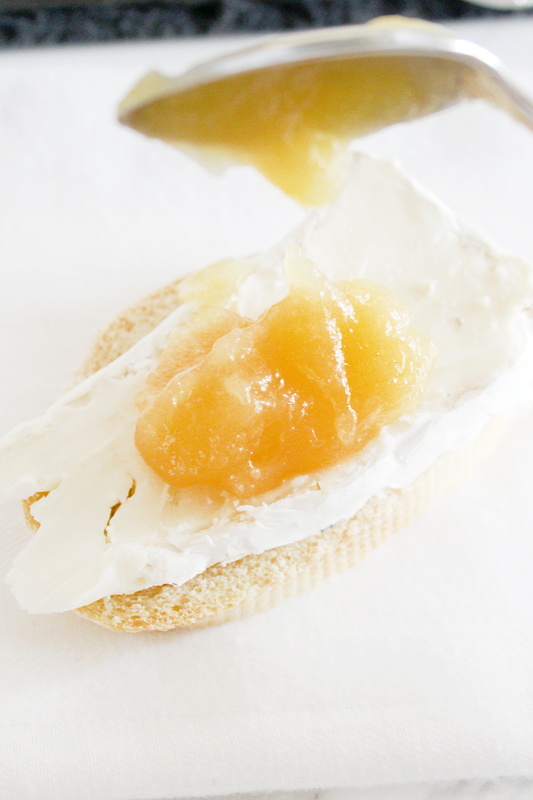 The Sonoma Brut goes well with lemony flavors, so I'm using a lemon curd to top the brie crostini. This is one of my favorite condiments. Growing up, my mother always kept a jar handy and the taste will forever remind me of her amazing lemon bars. 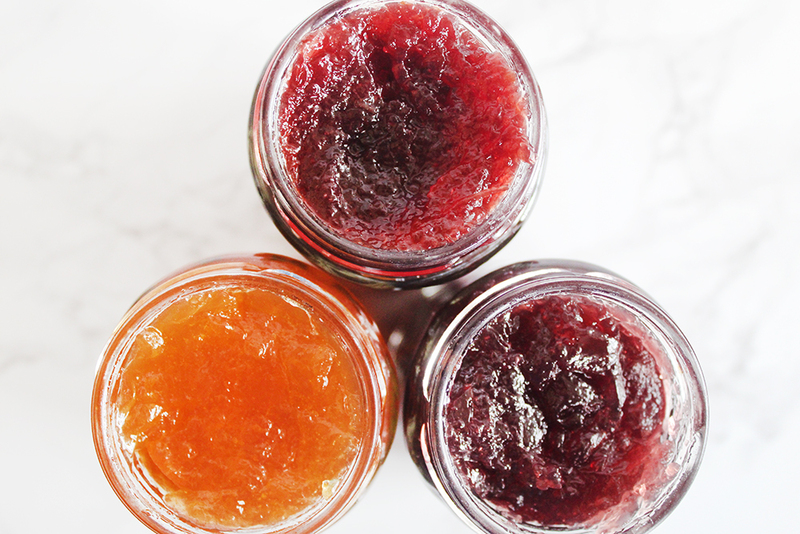 In the spirit of experimentation, I'm also serving some different fruit spreads. It's a great way to try out different tastes with your wine because the flavor of the wine really does change depending on the flavors present in your mouth! I chose apricot, blackberry, and cherry. 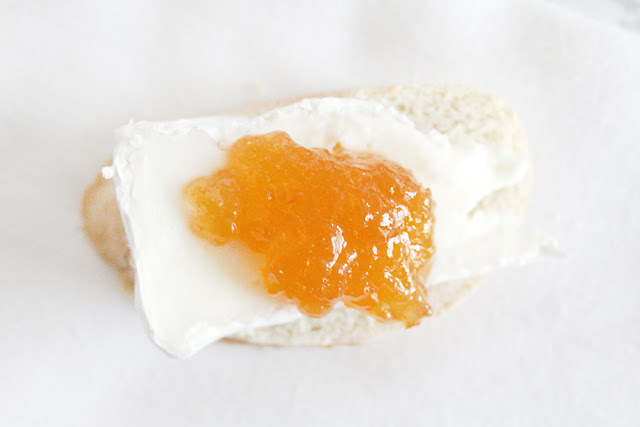 Look for "spreadable fruit" made from fruit with no added sugar. 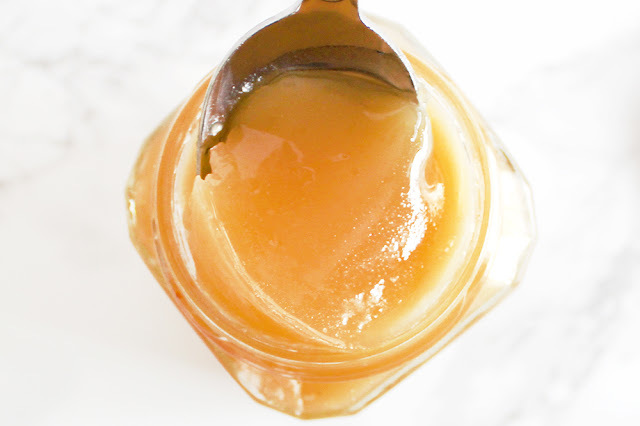 Jarred toppings will keep in your pantry for quite a while, so they're great to have on-hand! 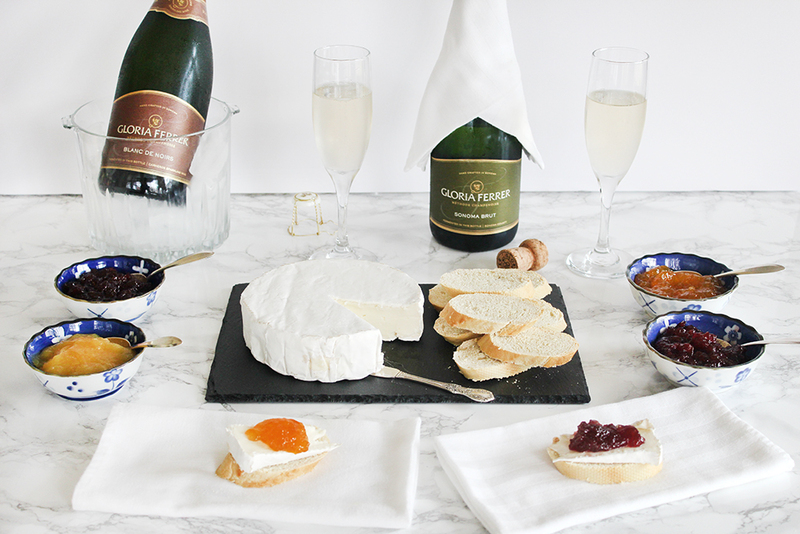 When it's time to celebrate, simply lay out your delicious spread and pop open a bottle or two of bubbly. 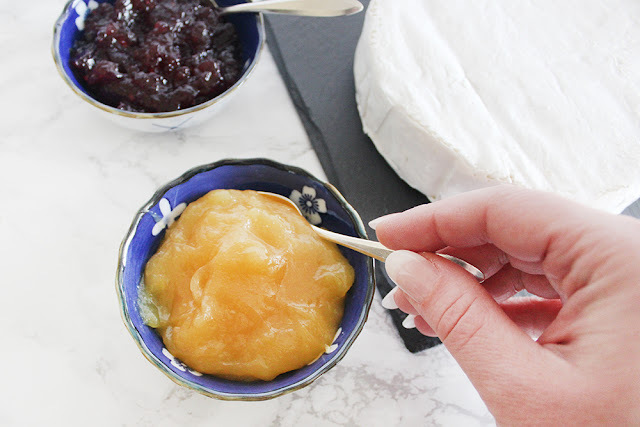 I personally loved the lemon curd and brie. I thought it went perfectly with the Sonoma Brut. 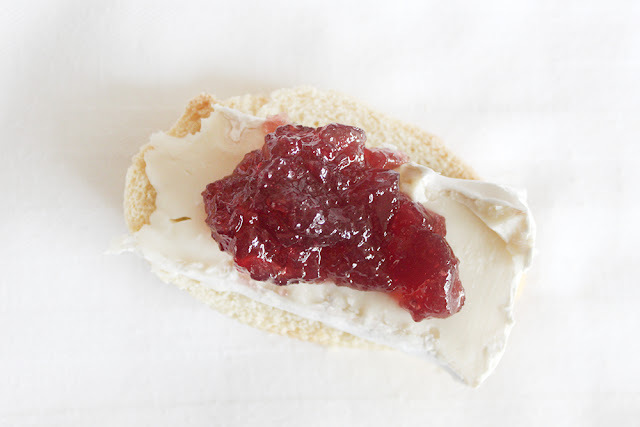 My husband, on the other hand, loved the cherry and brie. 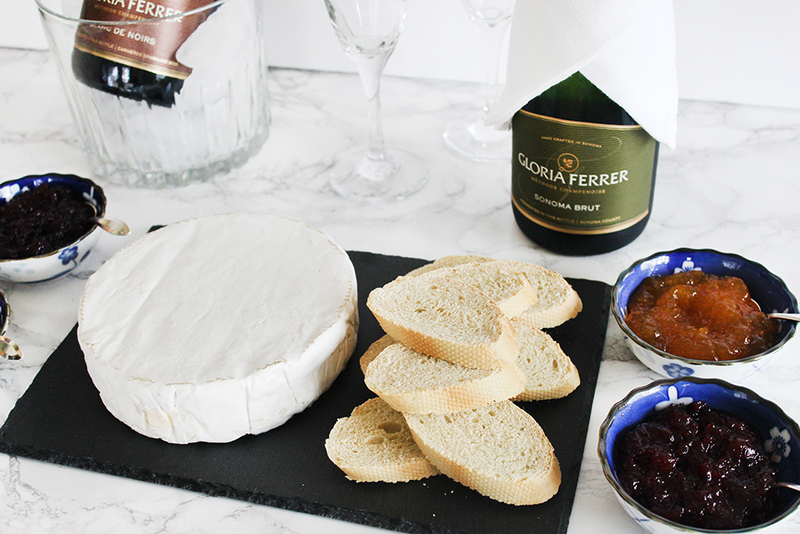 It just goes to show that tastebuds vary and you should always experiment when it comes to wine pairings! 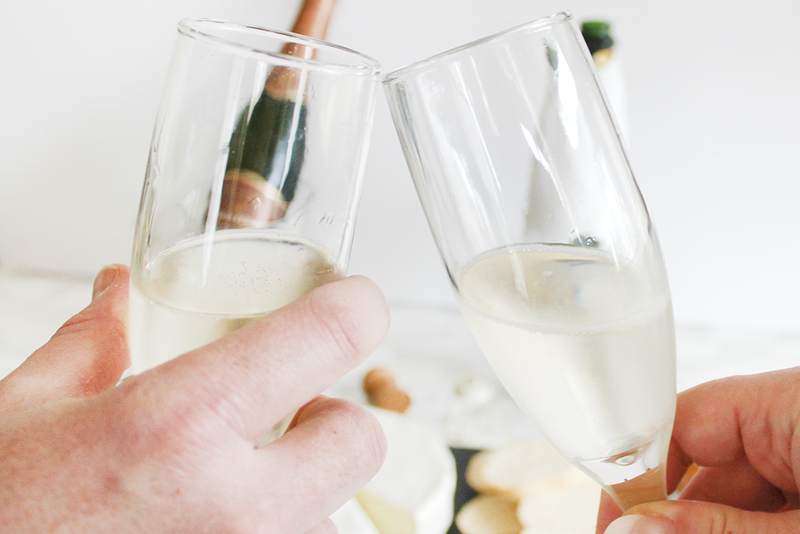 I hope these tips help you stock up to be ready for any occasion to celebrate. 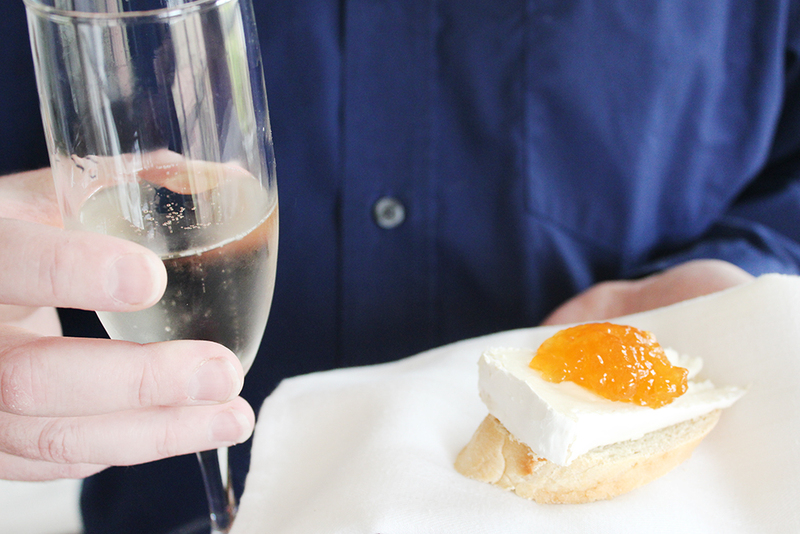 Don't be intimidated by sparkling wines. You can serve them at any time and with anything your heart desires! 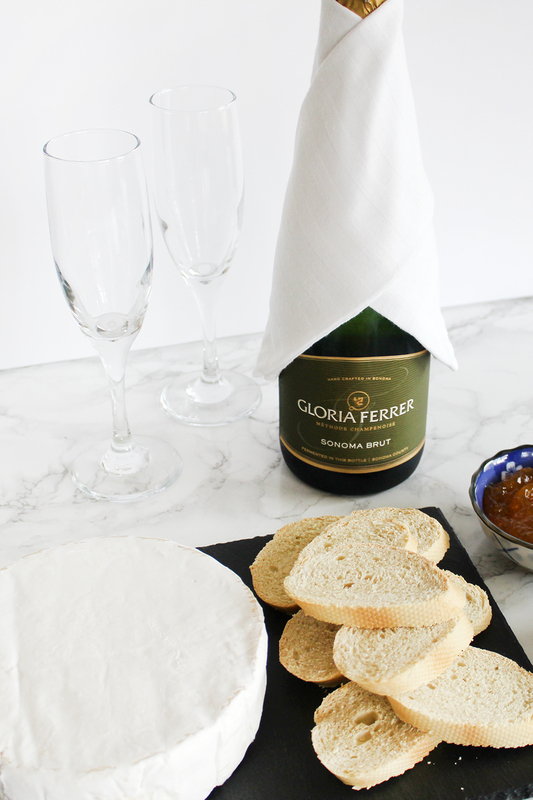 Do you have a special occasion coming up? 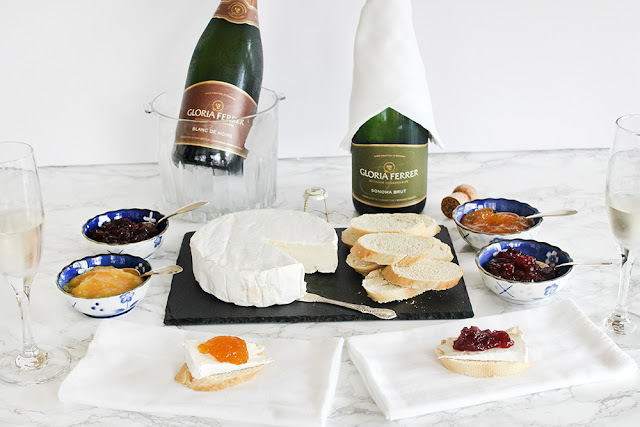 What will you be stocking for your celebration? Tell me in the comments below!